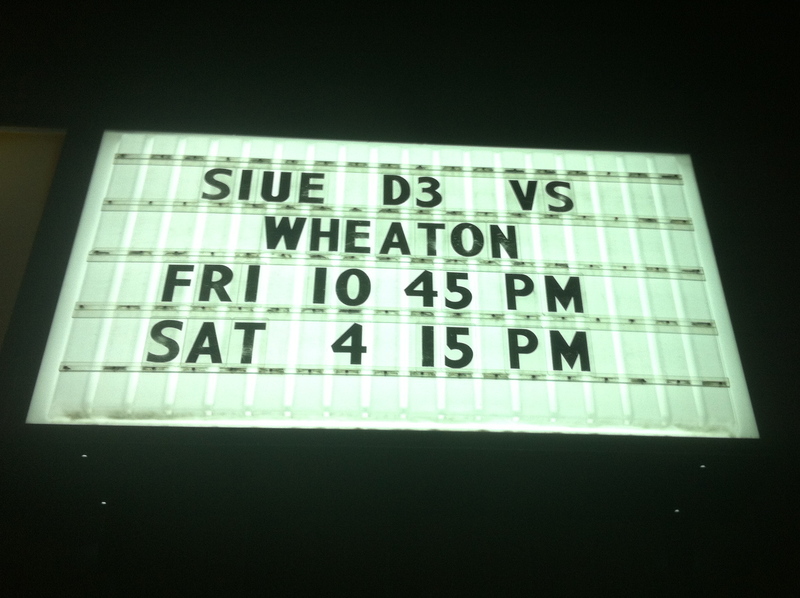 The Wheaton Thunder Hockey Team began its 2013-2014 campaign with a trip south for a pair of non-confernce games, taking on the Cougars of Southern Illinois University at Edwardsville. Despite dropping their opening games, the Thunder coaching staff had an opportunity to watch and evaluate the additions to this year’s squad and make adjustments before league play begins. The Thunder will open its season at home Fri. 11/1 & Sat. 11/2 with a pair of non-league games against UW Milwaukee. This annual trip for the boys in orange and blue provides the team with a great early season experience and time away from school together. As always, the Thunder were hosted by 1973 Alum, Larry Absheer, and the Missouri Athletic Club in St. Louis. Mr. Absheer has been a staunch supporter of Wheaton Athletics and especially Wheaton Hockey over the years. The Thunder are very thankful for his generosity and support.